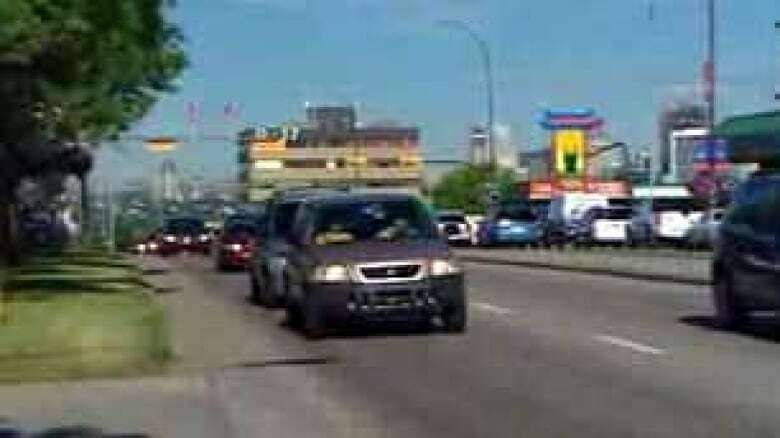 Bus lane proposed for 17th Ave. S.E. A council committee has given the green light to a $250-million plan to improve bus service to Forest Lawn in southeast Calgary, even though the city hasn't budgeted for it. The city's transportation committee agreed Wednesday to ask council to consider a proposal for a dedicated bus lane down the middle of 17th Avenue S.E., linked to downtown via a bridge over Deerfoot Trail and a bus tunnel through Inglewood. "It should be done. People are expecting significant kinds of city infrastructure work to be done out there," said Ald. Joe Ceci. "They often argue that they're the last thought of in terms of infrastructure improvements and I'd like to see that turned around." According to the plan, which will be debated next week by council, the bus rapid transit lane would eventually extend as far as Stoney Trail on the city's eastern limits. Ceci acknowledged that upgrading transit on 17th Avenue S.E. — also known as International Avenue — is not among the city's transportation infrastructure priorities. But he said that could change when council reviews the list in November. "Speaking as a homer and a partisan right now, I guess I would say it's really high," said Ceci, who is not running for another term in October's municipal election. The project could qualify for funding under the province's GreenTrip program, announced last month, which sets aside $2 billion for initiatives that expand public transit. However the city has not yet decided which projects it will pitch to the province for its $800 million allotment. Alison Karim-McSwiney, head of the International Avenue Business Revitalization Zone, said the plan would be good for the area. "I think that east Calgary can wake up and say, hey, we do matter and there's going to be some very special things happening here." Last week, council approved a long-term redevelopment strategy for 17th Avenue S.E. It envisions signature gateway architecture at either end of the avenue, plus a new arts and cultural centre for Forest Lawn. "We're trying to revitalize the area and provide improved beautification," said Ald. Andre Chabot.